Drug overdose deaths have nearly tripled in the United States since 1999, with whites and middle-aged Americans bearing much of the brunt, a new government report shows. More than 16 out of every 100,000 Americans died of a drug overdose in 2015, compared to just over 6 in 1999, the U.S. Centers for Disease Control and Prevention found. Heroin and other opioids accounted for about half of these deaths, a reflection of the damage wrought by the prescription painkiller epidemic this decade, said Dr. Edwin Salsitz, an addiction medicine specialist. Overdose deaths are so common that they’re driving down the average life expectancy for white Americans, said Salsitz, who is with Mount Sinai Health System in New York City. The CDC report, released Feb. 24, found that drug overdose deaths have risen among whites at a rate of about 7 percent each year, compared with 2 percent a year for blacks and Hispanics. The overdose death rate among whites in 2015 was nearly 3.5 times the rate it was in 1999. Drug overdose deaths increased from 1999 to 2015 in all age groups, but adults aged 45 to 54 had the highest death rate -- about 30 fatalities for every 100,000 people. The report confirms what has been widely suspected about the progression of the prescription opioid crisis in the United States, said Salsitz and Lindsey Vuolo, an associate director at the National Center on Addiction and Substance Abuse. Prescription drug abuse reached epidemic levels earlier this decade, prompting a crackdown by regulators, drug makers, pharmacists and physicians. Closer prescription tracking made it harder for addicts to “doctor shop” for prescription opioids like morphine, oxycodone and codeine. Pharmaceutical companies also introduced tamper-resistant forms of the medications that couldn’t be crushed or altered in ways that provided a stronger, quicker hit for drug abusers, Salsitz explained. But the success of those efforts prompted prescription drug addicts to switch to heroin, which is cheaper and more available on the street, Salsitz and Vuolo said. To make matters worse, drug dealers started cutting heroin with even cheaper and more potent synthetic opioids like fentanyl, further increasing the risk of overdose and death. “Because heroin and synthetic opioids are cheaper than prescription opioids and more widely available in certain areas hit hard by the epidemic, a singular focus on reducing accessibility to prescription opioids misses the mark,” Vuolo said. 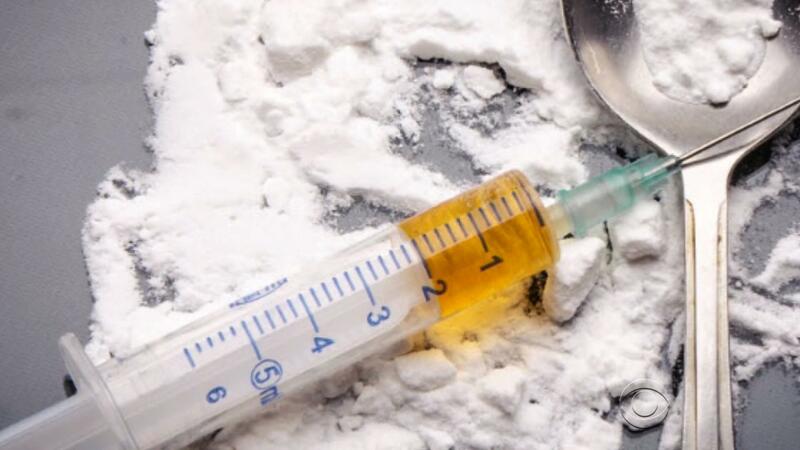 Heroin accounted for one-quarter of overdose deaths in 2015 -- triple the rate in 2010, said report author Dr. Holly Hedegaard, a medical epidemiologist with the CDC’s National Center for Health Statistics. Other opioids -- both synthetic and natural -- such as oxycodone (OxyContin) and hydrocodone (Vicodin) accounted for another 24 percent of overdose deaths in 2015, down from 29 percent in 2010. Four states -- West Virginia, New Hampshire, Kentucky and Ohio -- lead the nation with the highest overdose death rates, the CDC said. Those states also have been identified as having high rates of death from fentanyl and other synthetic opioids, Vuolo added. “This suggests that there is greater supply of synthetic opioids in certain areas and because they are more lethal than heroin or prescription opioids, they are contributing to the increases in overdose death rates,” Vuolo said. To try to stop overdose deaths, access has been increased to naloxone (Narcan), a drug used to reverse an opioid overdose, Vuolo said. But doctors are releasing people saved by naloxone directly from the hospital rather than steering them into drug treatment, leaving them vulnerable to another overdose, she said. “There is a very high risk of overdose recurrence when an overdose is reversed but the individual is then released from medical care,” Vuolo said. By comparison, she noted, someone who has a heart attack receives extensive medical care to prevent it from happening again. Vuolo and Salsitz said policy makers also need to take steps to make addiction-fighting medications like buprenorphine more easily available, so health professionals can treat the underlying drug habit. Recently approved federal legislation will allow nurse practitioners and physician assistants to prescribe buprenorphine. “That’s going to really open up drug treatment, particularly in underserved areas,” Salsitz said.